Thousands of opposition supporters chanted, “We know we won, we know they lost, we are not afraid”, in the streets of major cities after Turkey’s president Recep Tayyip Erdogan claimed victory in the 16 April referendum to strengthen presidential power, writes Phil Hearse. Late in the evening police attacked opposition demonstrators outside the headquarters of the ruling AKP (Justice and Development Party). Officially Erdogan won just over 51% of the votes, against nearly 49% for the opposition. 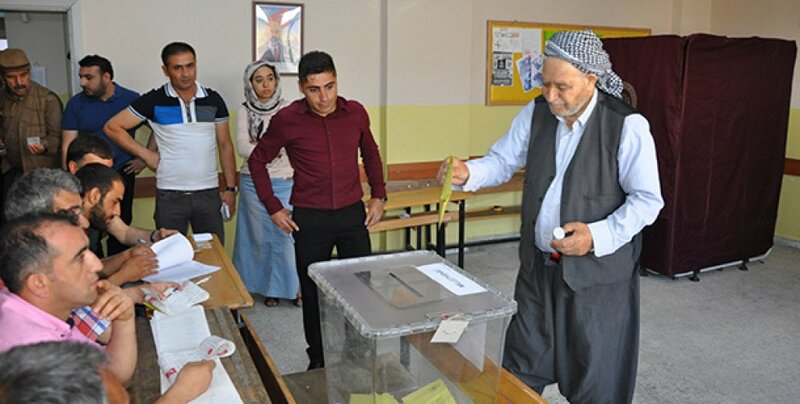 However reports of electoral fraud came from all over the country, according to the main opposition parties, the CHP (People’s Republican Party) and the left wing and Kurdish HDP (People’s Democratic Party). They accuse the national election commission of accepting 1.5 million votes not properly stamped at polling stations. 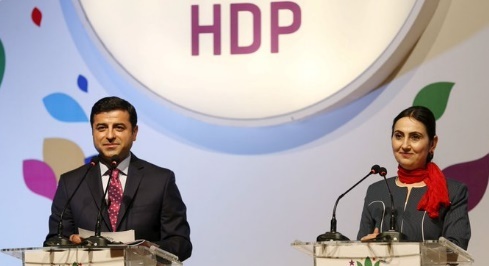 The HDP says that between three and four per cent of the votes were rigged. The outcome, probably fraudulent, was far from the ringing endorsement Erdogan expected. The ‘yes’ vote was achieved by a massive propaganda campaign by the pro-regime media, which is nearly all of it, after numerous journalists were purged and dozens of opposition papers and TV stations closed down. The fascist MHP (National Action Party) which normally wins 12-15% of the vote, supported the AKP in favour of a ‘yes’ vote, as did conservative religious leaders that support the regime. After the official results were announced, a crowd of about 3000 AKP supporters gathered in front of their headquarters, a paltry figure by Turkish standards. The anti-climax among Erdogan’s supporters has to be put in the context of the AKP and MHP winning 61% in the last general election. Clearly, many previous AKP and MHP supporters voted ‘no’ in the referendum. In all the major cities, including Istanbul, Ankara and Izmir, and Turkey’s biggest tourist centre Antalya, as well as in the majority Kurdish areas in the south east, there was a majority ‘no’ vote. The votes demonstrate that nearly a year after the attempted military coup, following which Erdogan declared a state of emergency that is still in place, opposition to the regime is still massive. In the brutalised Kurdish city of Cisre, much of which was destroyed by planes and tanks during the regime’s military assault on self-governing Kurdish communities in the winter of 2015-16, 83% voted ‘no’. In Varto, one of the first Kurdish towns to declare self-governing autonomy, the ‘no’ vote was 86%. And in Samandag on the southern border, which the government uses as a base for its intervention against Kurdish fighters in Syria, 92.3% voted ‘no’. In addition to Antalya, almost all of the Aegean, Thrace and Mediterranean regions, where tourism is a crucial part of the economy, voted ‘no’. Local people know that Erdogan’s path to dictatorship is badly damaging the tourist trade. In terms of effective powers for the president, in the immediate future the new constitution changes little. Erdogan has a compliant AKP-dominated parliament, ministers who do his bidding 100% of the time, and emergency powers that have seen more than 100,000 people thrown out of their jobs, many thousands imprisoned and tortured and dozens of newspapers and TV/radio stations closed. All the referendum could have attempted was the affirmation that a clear majority of Turkish people backed his journey to one-man dictatorship. This attempt has failed dramatically. But one thing the referendum can bring about is a prolongation of Erdogan’s term in office. The changes to Turkey’s constitution would mean that Erdogan will be allowed to run for re-election in 2019 and serve two five-year terms – in practice, Erdogan could remain in office until 2029. In addition Erdogan confirmed that the AKP will now seek the legalisation of the death penalty. A number of show trials, involving armed forces and police personnel accused of participating in the July 2016 coup, started in December and are ongoing. Soon these will be expanded to include leaders of the HDP, including co-leaders Selahattin Demitras, whose trial starts on April 28, and Figen Yuksekdag. A total of 13 HDP leaders were arrested in November 2016 on terrorism-related charges after their parliamentary immunity was lifted in March 2016. Now all the HDP deputies have withdrawn from parliament. The HDP says that since the failed coup attempt in 2016, 5,471 supporters have been taken into custody and 1,482 people have been formally arrested. Demitras faces trial in more than 100 different cases that include charges of “managing a terrorist organisation,” and faces over 100 years in jail. Turkey’s government has long been accusing the HDP of being the political front of the outlawed Kurdistan Workers’ Party’s (PKK). 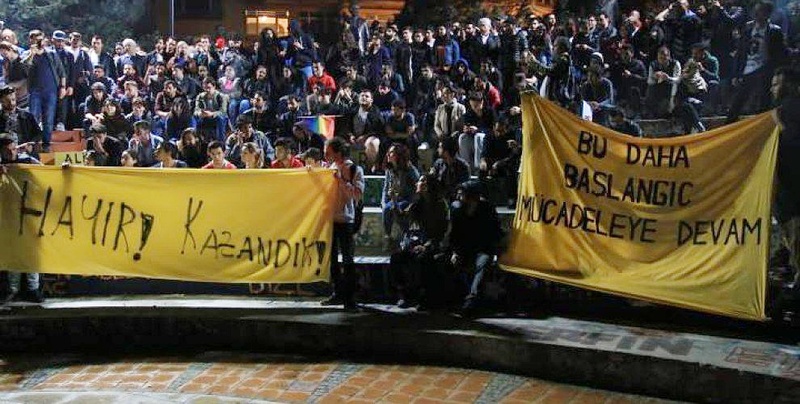 Left Unity reaffirms it solidarity with the HDP and all those fighting the march to dictatorship in Turkey, and calls on all socialists and democrats to protest against the continuing shows trials, imprisonment and torture aimed at opponents of the regime.